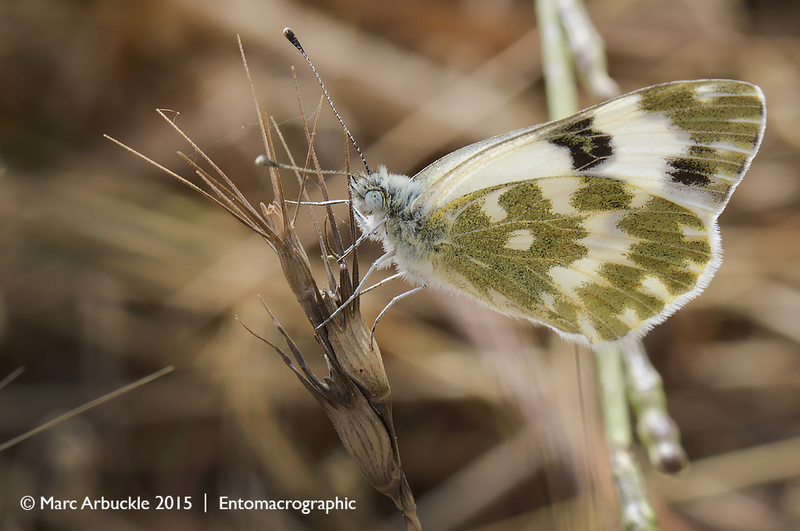 I’m in south east Cyprus endeavouring to photograph butterflies. It’s not proving easy due to the combination of clear blue skies and an almost constant breeze. The warmth of the sun means they are rather flighty, even at first light and they don’t settle anywhere for long. The bright conditions give rather harsh shadows and the light winds means the vegetation is swaying about like a Brit with too much Keo on board which makes sharpness a challenge. As I said, not easy. However, yesterday morning while walking along the cliffs near Kapparis there were a few welcome clouds sliding in off the sea and for a brief moment while a white wisp made it momentarily overcast I got this image of an Eastern Bath White Pontia Edusa. According to Butterflies of Cyprus Makris, 2003, this is a very common butterfly found throughout the island. Must catch up when you’re back… enjoy! Must catch up when you’re back!